Take a drive to the outskirts of Fergus for a shopping experience that celebrates making “Everyday Beautiful.” You can search the world over and find Kitras Art Glass pieces in specialty shops, but nothing compares to visiting Canada’s largest hot glass studio. 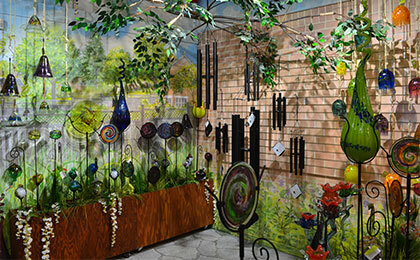 Celebrating 30 years as a family-run company, Kitras Art Glass welcomes you into their 1000 square foot gallery that showcases their full line of signature blown glass collections, including art pieces, home décor, garden fixtures and so much more. Beautiful, unique and locally-made in Fergus, you’ll see why their art has place in homes world-wide.